Weather information 24 hours a day and reliable forecasts for the next three days, in collaboration with MeteoSwitzerland. Thinking about spending the coming days in Ticino? Have you already booked your holiday, and want to find out the weather forecast to decide what to bring with you and what to leave at home? You're in the right place! On Ticino's official tourism website you'll also find reliable weather forecasts for the coming days. Need the forecast for Lugano? Want to know what the weather is like in Locarno? 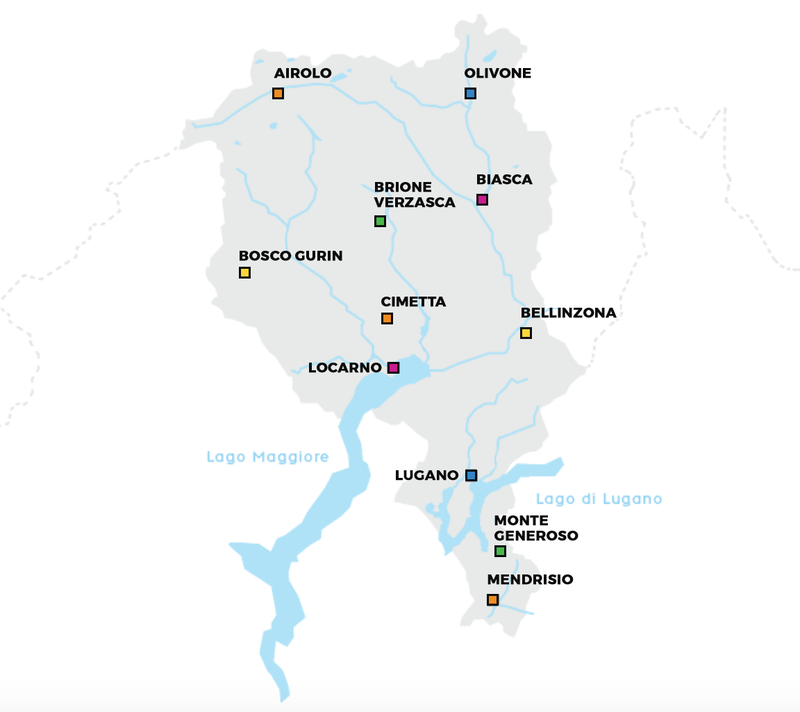 Check the map, find out what the weather is like, and get ready for your holiday in Lugano, Ascona-Locarno or Bellinzonese e Alto Ticino region! it's time for holidays all year round! Spring in Ticino is everything you need. You’ll be enchanted by the blossoming nature and relax in this marvelous corner of Switzerland.